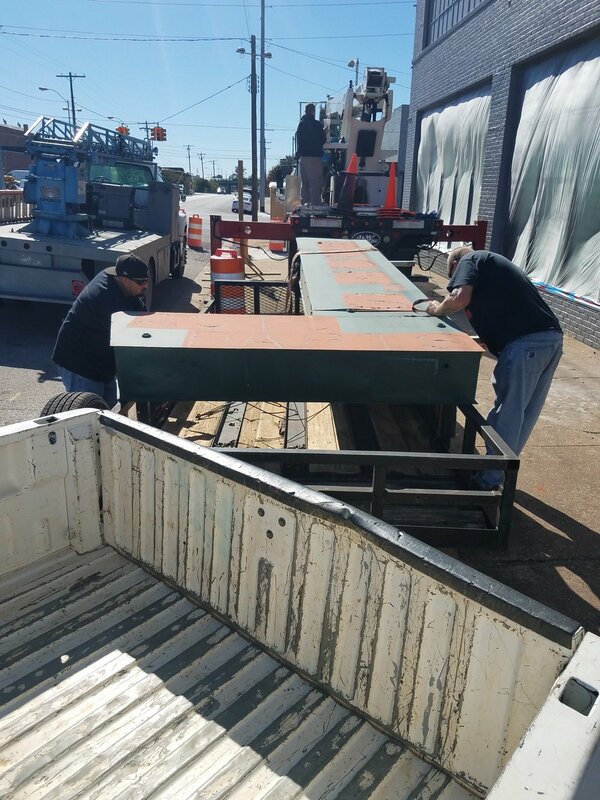 We've got a brand new slab on our beer garden. It really changes the appearance of our corner. We've also got working toilets now! It is amazing how excited we are about that... Also, Painters are wrapping up a little trim work. It's been a busy week. We're getting closer!! Happy Thanksgiving! We've only got a few updates this week because everyone was getting ready for the holiday weekend. 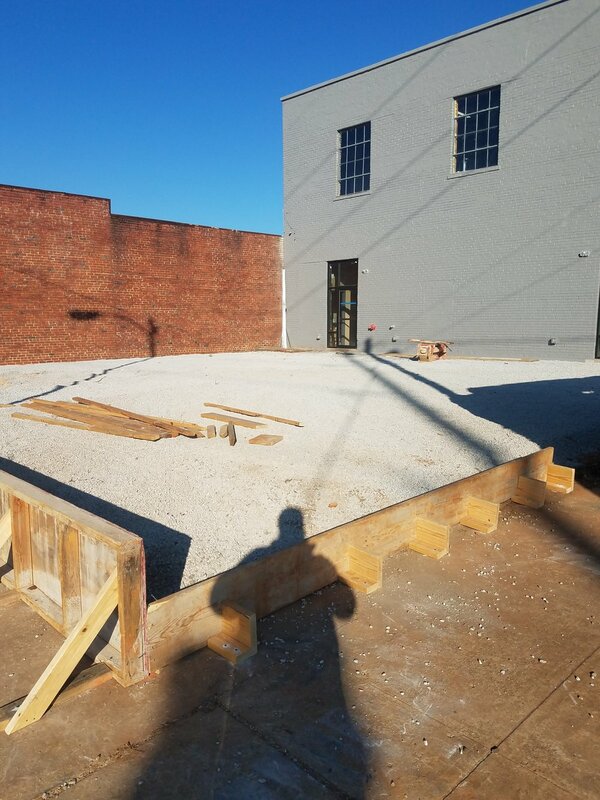 The concrete guys started the forms for the beer garden slab. 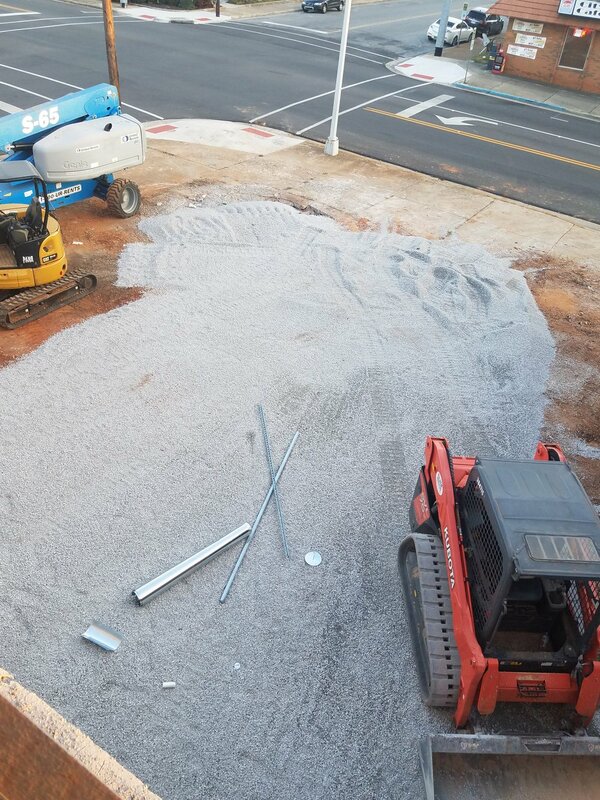 We expect the slab to be poured sometime next week. 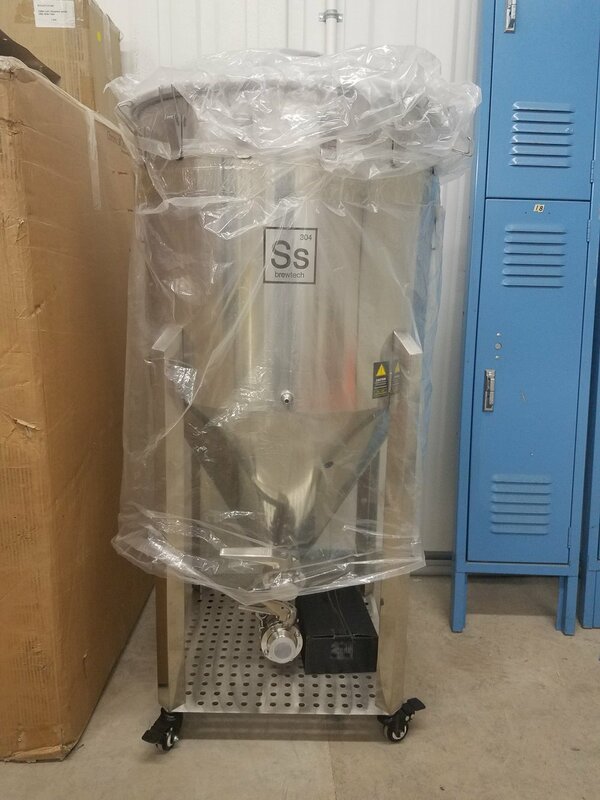 We also put together our 1bbl brewhouse. It's beautiful. Y'all enjoy some turkey leftovers! 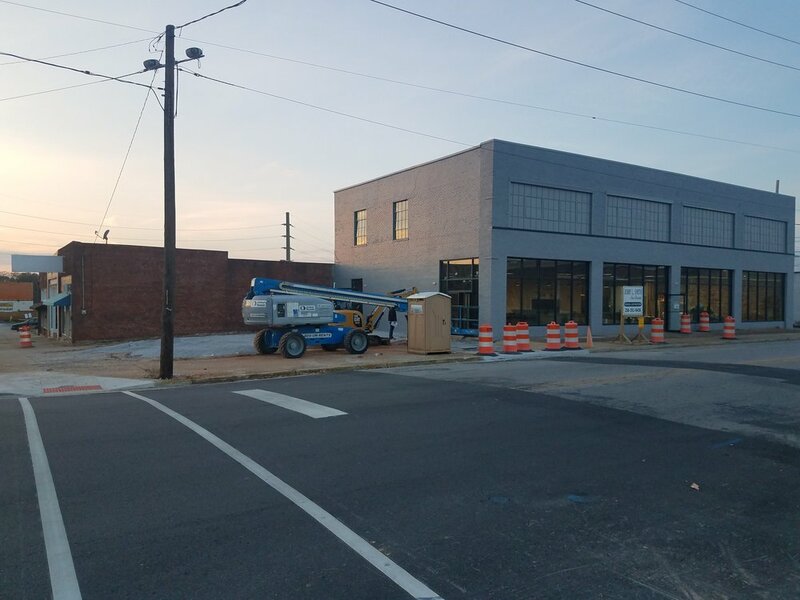 Things are really starting to shape up over at The Owl. 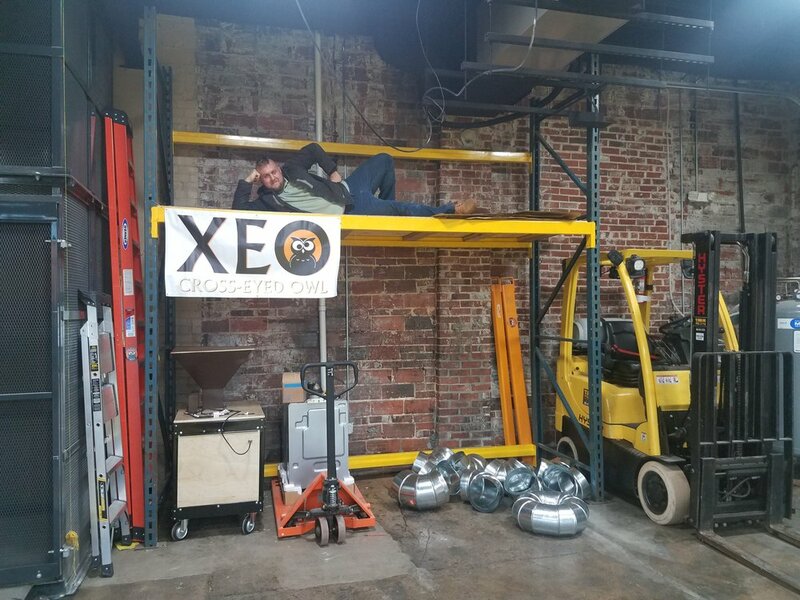 We erected our pallet racking and Joe decided to show it off. The bar is coming along nicely, and it's stunning. 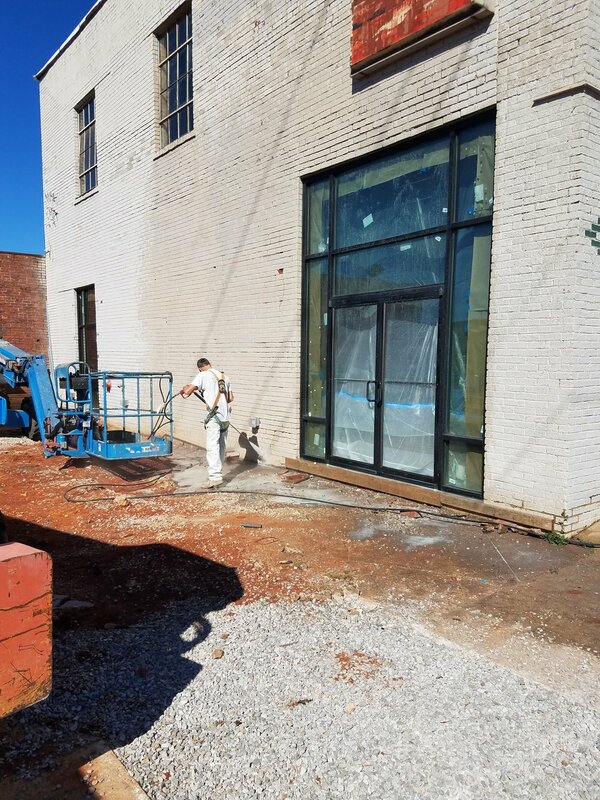 The HVAC guys are doing the last of the work necessary to get the AC turned on, the electricians are getting lights and fans rigged up in the bathrooms, the painters are touching up a few finish items, and the concrete guys are prepping to pour the beer garden slab early next week!! SQUEEE!! Yet another week of awesome at The Owl. 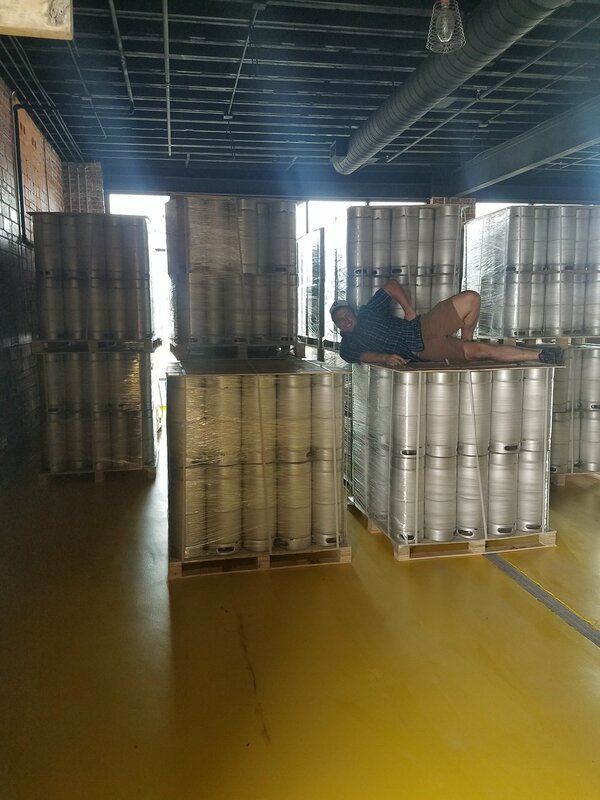 We received our kegs this week. There's a lot of them. Just ask Joe, he moved them all upstairs. The painters spent the week touching up and sealing some of the floor they didn't get last week, like inside the cooler. The electricians started hanging lights downstairs. 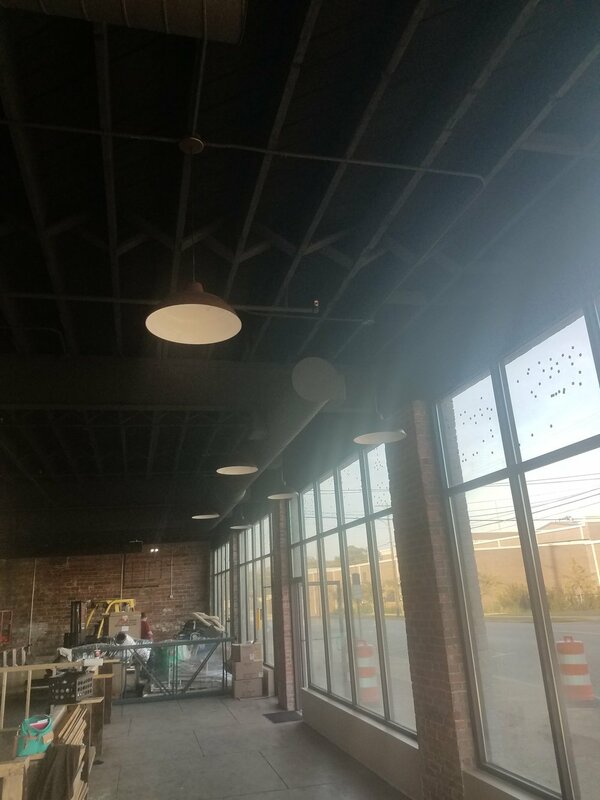 We've got all our production lighting and some of the taproom lighting in place. 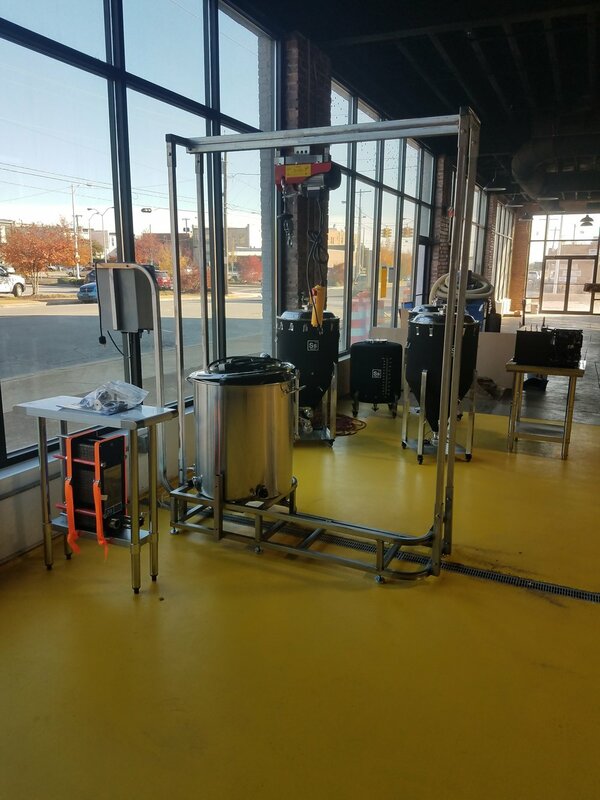 We also got our glassware and our mill this week. Cheers! This week, interior floors. 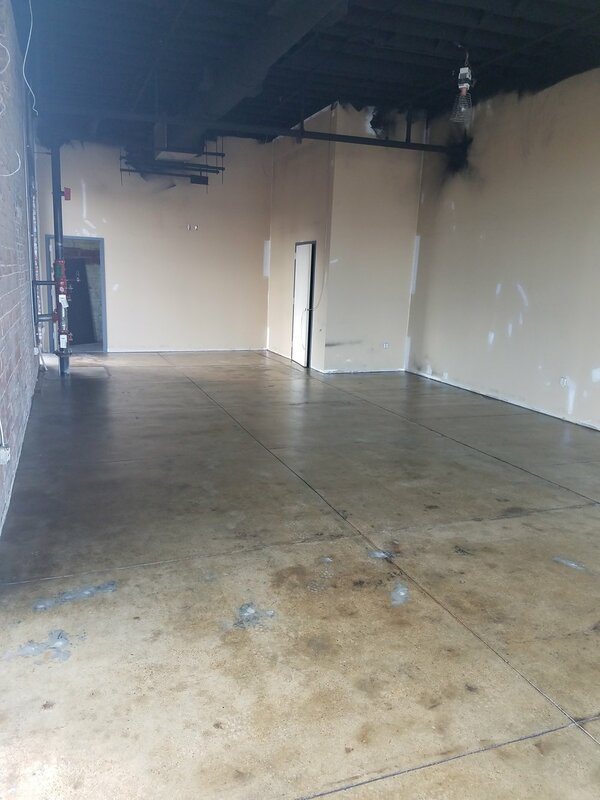 The production floor has been epoxied and the rest of the floor has been clear coated. 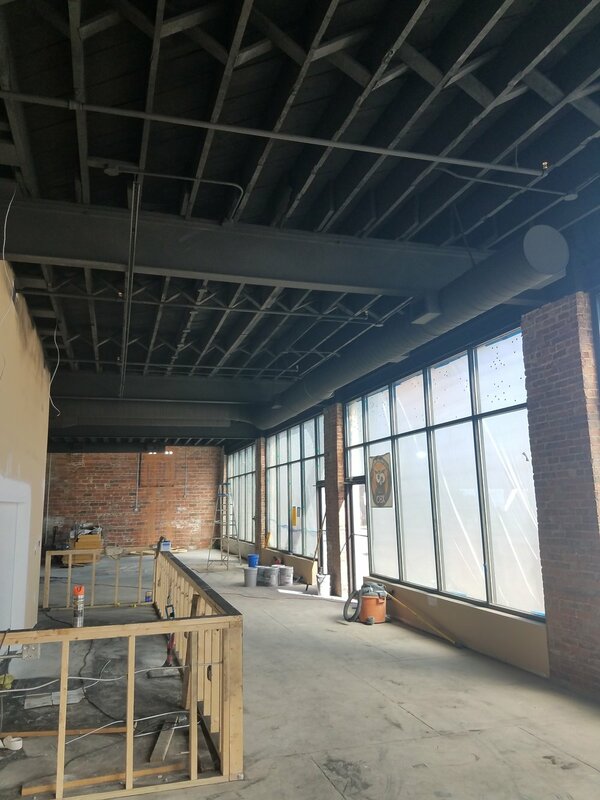 The fumes are pretty rough so not much else got done in the building this week, and that's perfectly okay because... the floors are gorgeous! We've been busy this week. If you haven't driven by the brewery lately, you might think about taking a ride. 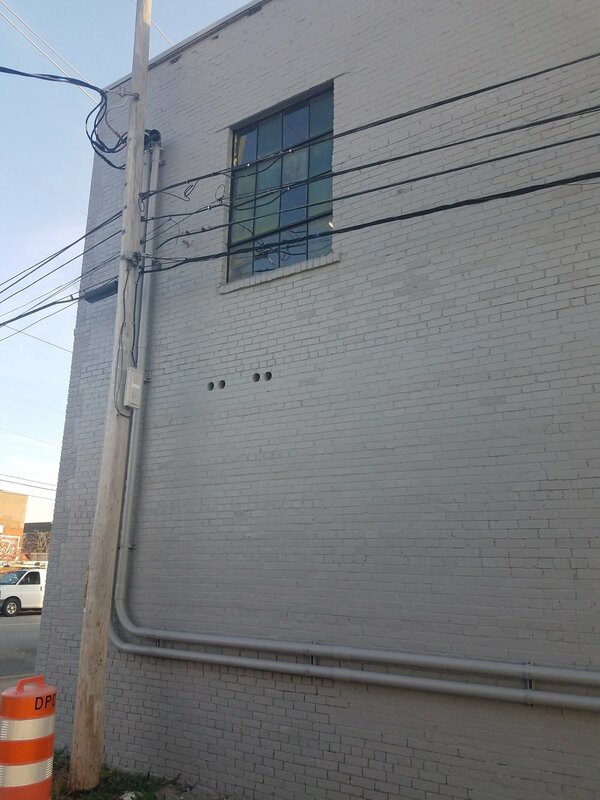 The painters did a beautiful job repainting the exterior of the building. We also took the old blade sign down this week and sent it off to be refurbished. No worries, it'll be back in a few weeks looking brand new. 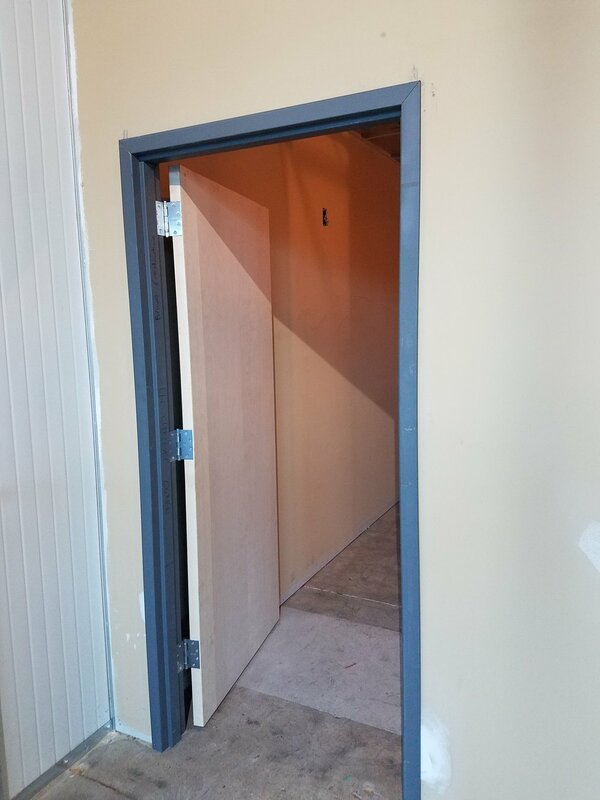 As if that wasn't enough, we also have interior doors, drop ceiling frame in the bathrooms, bathroom partitions are in the building and waiting to be installed, the cooler is cooling, and our 1bbl pilot system has arrived. PAINT!! 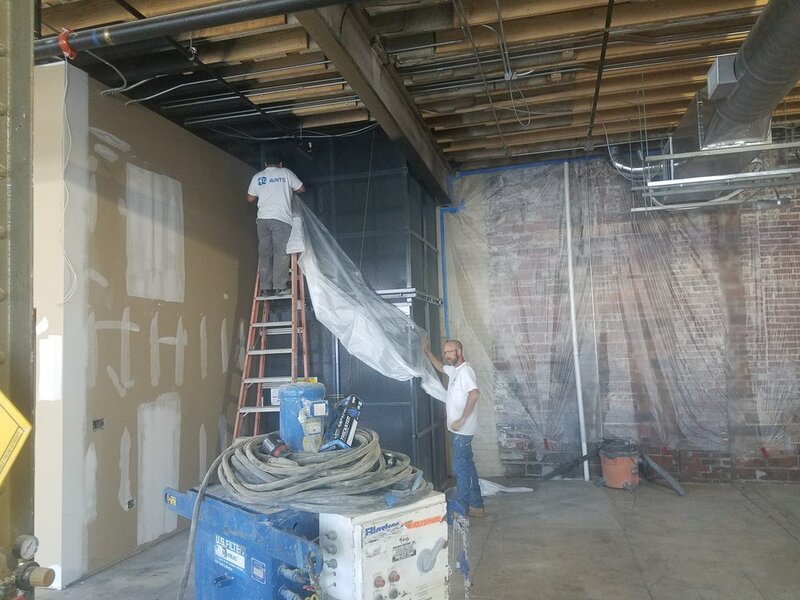 The ceiling has been painted and we've started priming the exterior. Fresh paint makes a HUGE difference... We've also got our 1bbl pilot tanks on site. 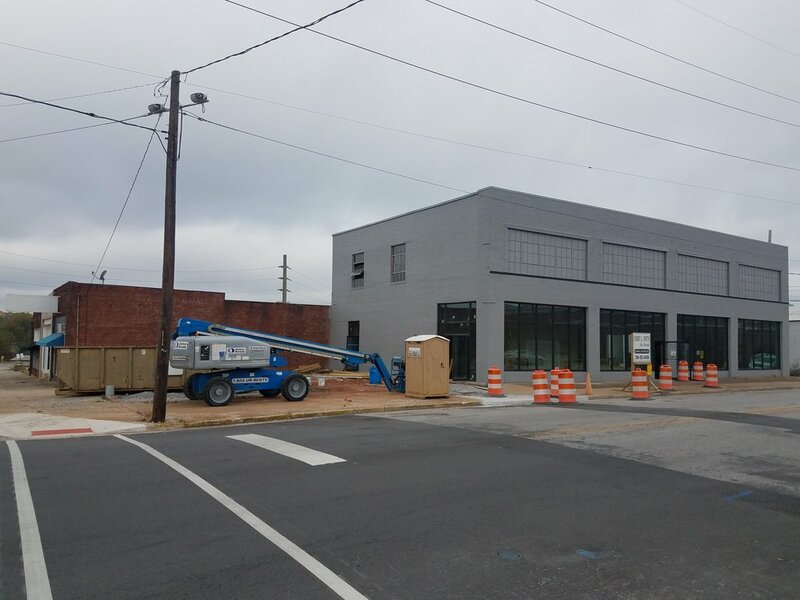 The pilot brewhouse is scheduled to arrive Monday! NEW ROOF!! We are very excited about our new PVC membrane roof. 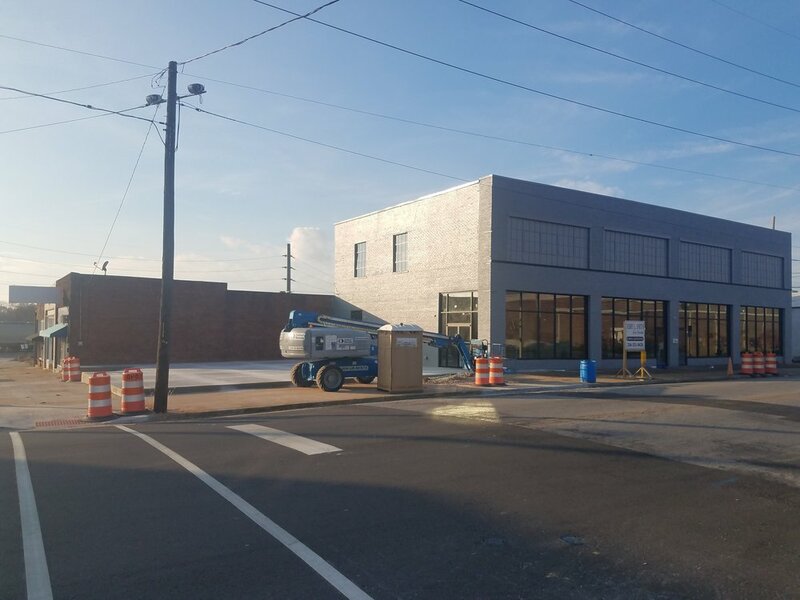 It's a much needed upgrade for this old building, and should serve us well for years to come. 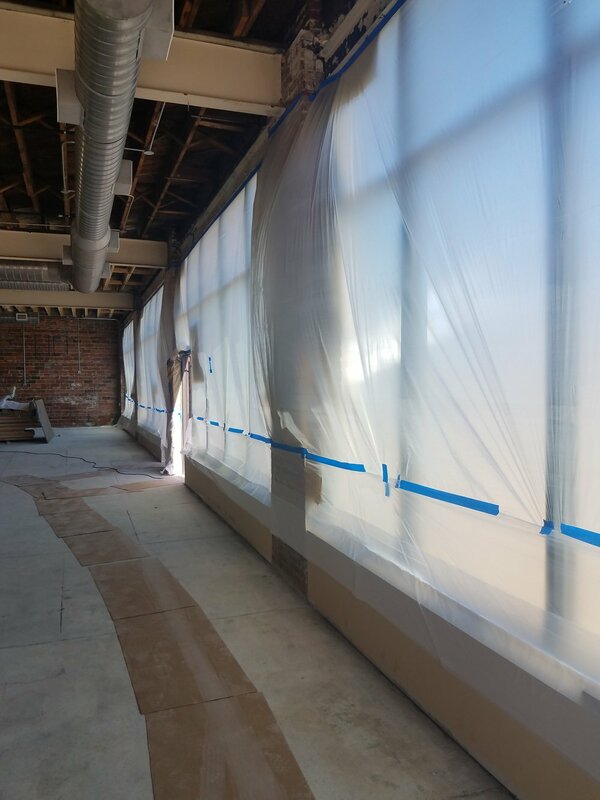 Also this week, the painters have primed the drywall and sealed the exposed brick. The walls are significantly improved over what they looked like just last week. 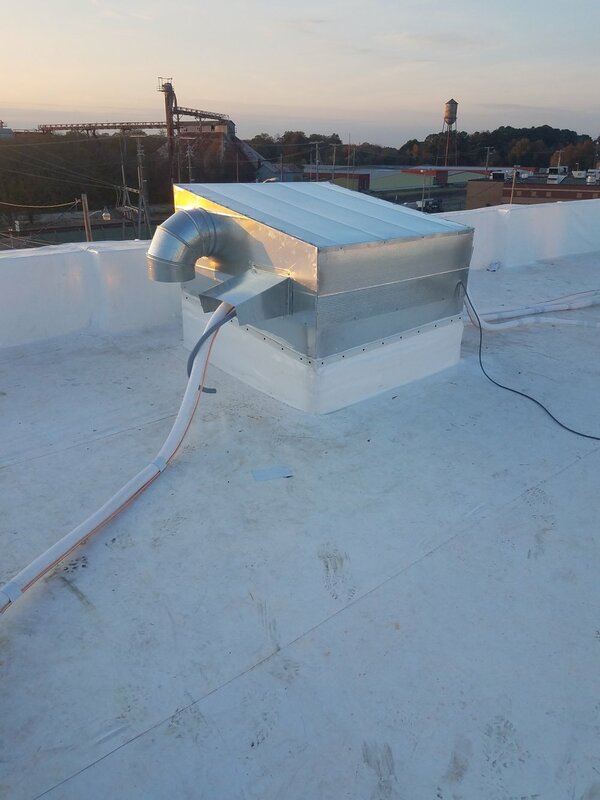 The sprinkler system is pressure tested and complete as well.